Residential & commercial roofing in Surrey: what are the key differences? What Are the Differences Between Commercial & Residential Roofing? The majority of buildings need roofing, whether it be a family home, a block of flats or a commercial building. There are many similarities between the types of roofing services required, but there are also some key differences between commercial and residential roofing. Here’s our guide to make things simpler for you. The most common roof design you’ll see for houses is pitched roofing with flat roofing used for aspects such as garages, extensions and conservatories. In contrast, commercial buildings often have a flat roof with parapet walls, typically seen in high-rise buildings. Their large interior space and square footage means this type of roof usually needs a more substantial system in place to support the roofing area. 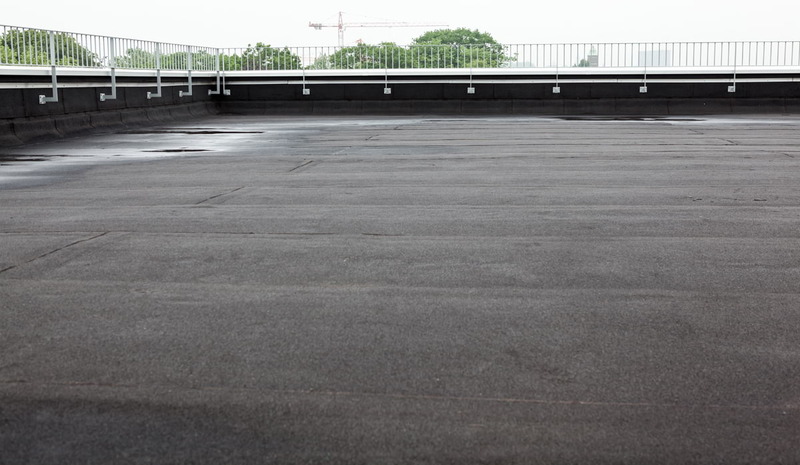 Anyone with a flat roof knows they can be subject to issues such as leaks and drainage issues if not maintained correctly, so it’s important businesses and organisations in this type of building don’t let the condition of their roof start to deteriorate. Speak to an expert about the various ways to make your commercial roofing more robust. The different types of roofing mean that commercial and residential property owners often want to know about the best materials for their roof. Pitched roofs are usually covered in tiles or slates which also look attractive. Flat roofing usually involves the use of materials such as felt which is suitable for some garages and extensions in residential properties. However, felt can be susceptible to damage if people will be accessing the roofing area regularly. The future of flat roofing lies in systems which use GRP (glass reinforced plastic) fibreglass. GRP fibreglass is one of the most durable types of flat roof on the market, having a tightly bonded finish which ensures your roof is totally sealed and won’t rip or deteriorate. With any roofing, it’s important to identify an option which requires minimal maintenance, cutting down on the cost of repairs. One of the biggest mistakes a business can make with their roofing is not choosing a company who specialises in commercial roofing. Because of the different needs of houses and large commercial buildings, it’s vital you work with a roofer who understands these differences and what’s required for each type of roof. Both residential and commercial roofs will need maintenance, but it’s sometimes easier for homeowners to spot when there’s a problem such as leaks or crackered guttering. They may be able see more of their roof from ground level and check inside the roofing via their attic. Therefore, it’s important not to overlook commercial roofing needs. It would be a nightmare if your roofing became unsafe or damages lead to other issues in your building and possible business disruptions. Looking for a residential or commercial roofer? Here at Collier Roofing, we offer bespoke services to both residential and commercial clients across London, Surrey and surrounding areas. If you’re a home or business owner in locations such as Redhill or Oxted, you can expect a tailored service for the precise needs of your roofing. Contact our team now to let us know about your requirements and receive a free quotation. How Can Snow Damage Your Roof?